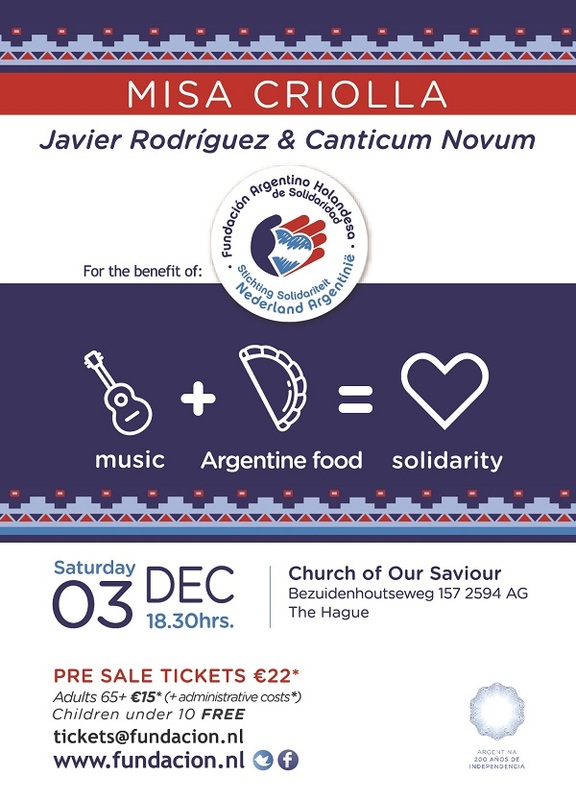 Famous Argentine tenor Javier Rodriguez is coming to The Netherlands again! Together with his musicians and Dutch choir Canticum Novum he will perform the world famous Misa Criolla. This Argentinean mass is a beautiful mix of classical music and Argentine folklore. Besides the Misa Criolla, European and South American Christmas music is part of the program. Before the concert you can enjoy the buffet with Argentinean food and wine.